We hope this new feature brings in more convenience to you. It will take 3 hours up to the next day. All transaction in the bus is done offline. Customers can be assured that TCr transfer will be recorded and periodically downloaded from the ManjaLink Server and subject to internet connection availability inside the bus. , the TCr will be transferred into your account while deducting the bus fare. automatically transfer my TCr into my ManjaLink Card? No. In the best case scenario, the TCr will only be transferred after 3 hours. In the worst case scenario, it will be transferred on the following day. 4. I cannot wait for 3 hours because I am running low on my ManjaLink card balance. What should I do if I need the newly top-up credit to be transferred urgently to my card after I complete my online top-up transaction? in Johor Bahru or Singapore for immediate transfer or update of your TCr. 5. How do I know if my TCr has been credited, after a successful online or reload transaction? s available at any ManjaLink Counters in Johor Bahru or in Singapore. 6. What will appear in the card validator machine if I managed to top-up my ManjaLink Card? screen. Please refer to the image below. b. LUGO Mobility App will notify user when TCr transfer on bus was successful. You have to make sure that your ManjaLink card is activated and that the card is not blacklisted or damaged. Please pay your bus fare in cash first and visit any of our ManjaLink Counters for any assistance. No additional time required as top-up and fare deduction is done at the same time. It will be as fast as the normal transaction time required to pay bus fare using ManjaLink. 9. Will the TCr follow the current exchange rate from the day I took my online top-up transaction? Yes. It will follow the exchange rate from the day you have successfully topped up your ManjaLink Card. 10. What are the other disclaimers I need to know about TCr transfer in the bus? s in Johor Bahru and Singapore. 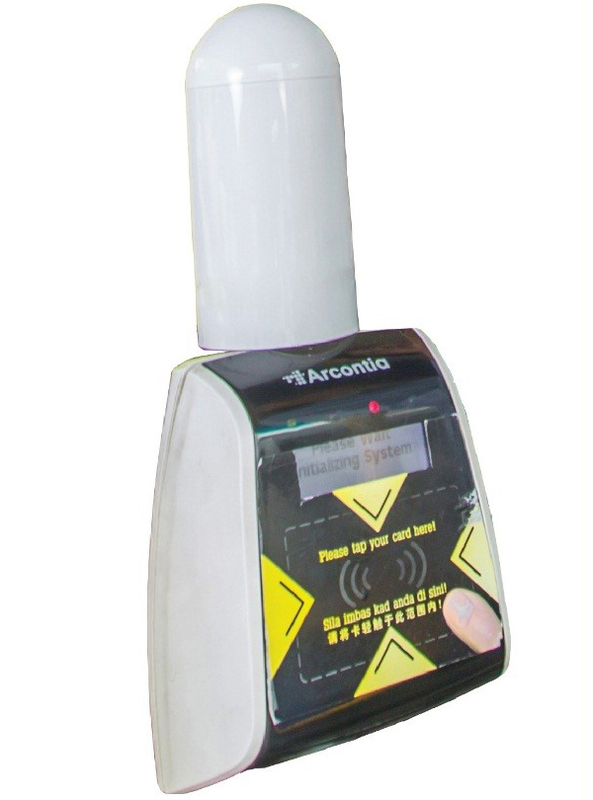 What is a bus card validator machine? Bus validator machine is a devise installed inside the Causeway Link Cross-border bus services that reads and validates ManjaLink cashless payment system. What is ManjaLink self-service Terminal? 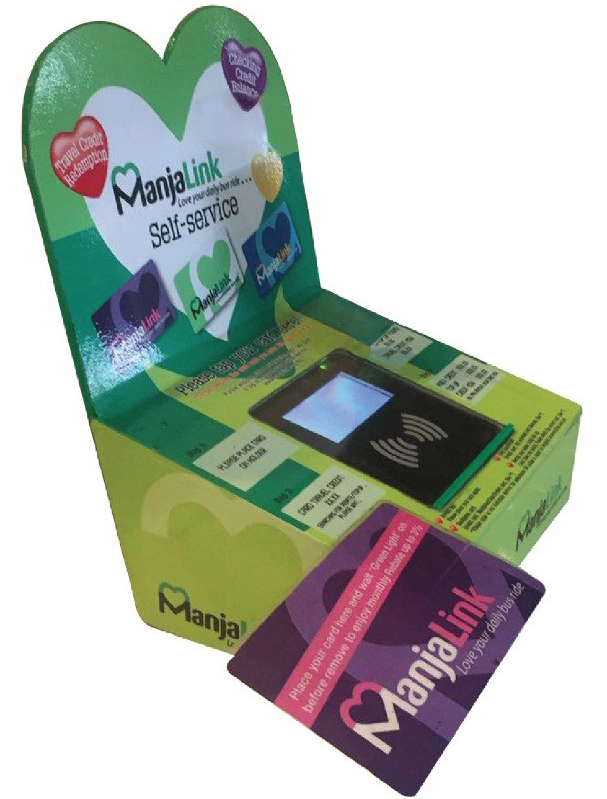 It is a device that is available in every ManjaLink Counters in Johor Bahru and Singapore that allows ManjaLink holders to update ManjaLink monthly rebates, TCr transfer, reload card top-up activation and for checking ManjaLink card balances.